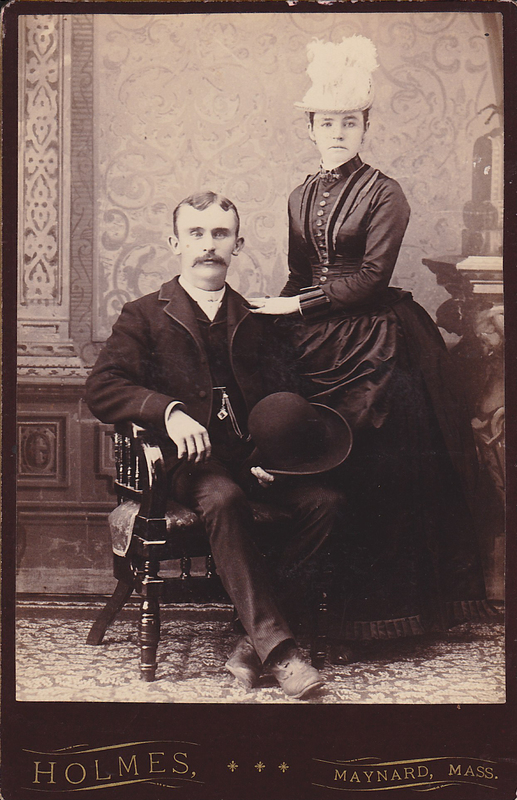 This type of cabinet card portraying the couple was often made at the time of a marriage. C. D. Holmes Maynard, Mass., “Husband and Wife Wedding Photo? 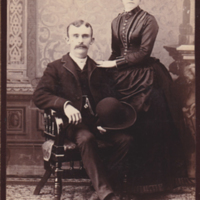 - 1890's,” Maynard Historical Society Archives, accessed April 23, 2019, http://collection.maynardhistory.org/items/show/3891.